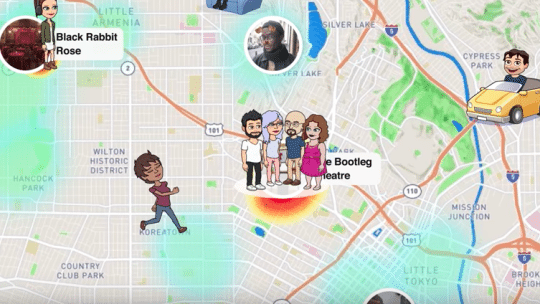 Snapchat introduced a new tracking feature called Snap Map last week, allowing users to share their location as well as see where their friends are and, in some cases, what they’re doing. The feature allows users to zoom in on neighborhoods, streets or even apartment buildings and acts as a heat map of sorts, using red to indicate where the most snaps and Stories are coming from and blue to illustrate a lack of activity. If your friends share their locations, their avatars will appear on the map, and those avatars can change depending on what the user is doing—a little airplane icon will appear when they're flying, for instance. The new feature has caused some significant privacy and safety concerns, especially for parents of the platform’s younger users, who might accept friend requests without thoroughly vetting whoever sent it. But the tool has some implications for brand communicators, says Andrea Limas, social media strategist for the University of San Francisco, and Kristy Gillentine, vice president of public engagement at Drive West Communications. Limas and Gillentine, who will speak about Snapchat at the upcoming Big 4 Social Media Summit, August 9-10, in San Francisco, offered a few early takeaways. For Gillentine, the feature had an immediate impact. She was at an industry conference when Snap Map was rolled out. And it also can be a great tool to promote events as they are happening. “If there are enough people snapping from a farmers' market or a festival or a community event or fundraiser, it will really get your content out to new eyeballs,” she says. Learn more from Andrea Limas and Kristy Gillentine at PR News' Big 4 Social Media Summit and Google for Communicators Boot Camp, which will be held Aug. 9-10, 2017, at the Grand Hyatt in San Francisco. Brand communicators from Google, Macy's, IBM, Microsoft, Taco Bell, Princess Cruises and many more will discuss everything from courting influencers to SEO trends. Limas applauded the new feature, saying it can help drive brand awareness on a platform that’s known more for its ephemeral nature. 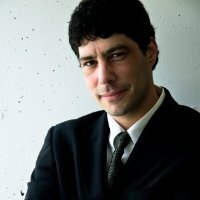 The feature could help boost foot traffic for local businesses, for instance. Back to the privacy concerns. Snap Map is an opt-in feature and its default setting is called Ghost Mode, which means you aren’t visible to anyone. But Snap Map allows you to select certain friends to share your location with, as well as the ability to block certain users from accessing that information.